AP Chemistry: Gas Law Lecture Notes Part I from Rene McCormick on Vimeo. 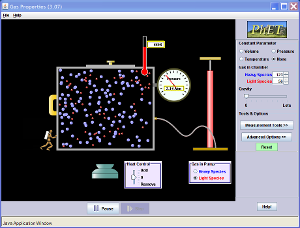 AP Chemistry: Gas Law Lecutre Notes Part III from Rene McCormick on Vimeo. Gas Law Lecture Notes Part II from Rene McCormick on Vimeo. AP Chemistry: General Equilibrium Lecture Part I from Rene McCormick on Vimeo. AP Chemistry: General Equilibrium Lecture Part II from Rene McCormick on Vimeo.